Mark your calendars, Broadway fans! 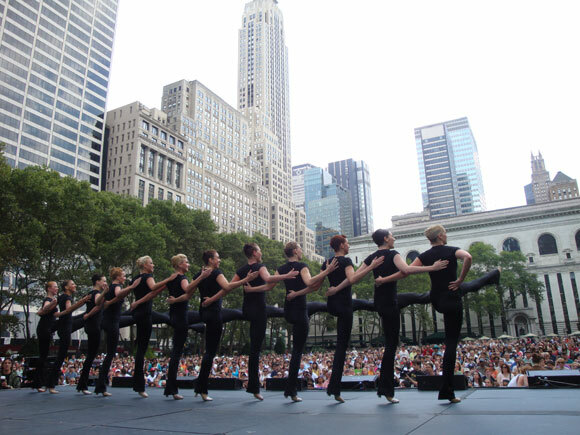 The much anticipated Broadway in Bryant Park schedule has been announced. Each week the stars of Broadway's hottest shows will perform the best musical numbers live in the park with hosts from 106.7 Lite FM. You'll see Broadway classics like Chicago, Rent and The Phantom of the Opera, as well as 2011 Tony-nominated hits like Sister Act and Catch Me If You Can. The casts take the stage from 12:30pm-1:30pm, but readers of the blog are invited to come early to watch the sound check, which starts around 11:30am. Time it right, and you could see each performance twice. will Wicked or Evitaw will be particpating in the Broadway in Bryant Park? The 2012 schedule has not yet been announced. Keep an eye on our website. We'll post it there, as soon as we know!